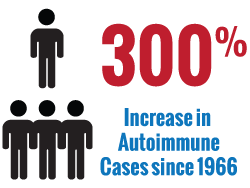 That’s right, autoimmune disorders are 3 times more common than cancer. So why is nobody talking about them? That’s because a diagnosis is slow to develop when symptoms seem minor. Tingling in the arms and fingers; frequent rashes on the face and body; sudden muscle weakness in the legs when climbing stairs, Aching joints; sudden hair loss; brain fog….all minor symptoms by themselves, but often they are the prelude to a life-altering illness. 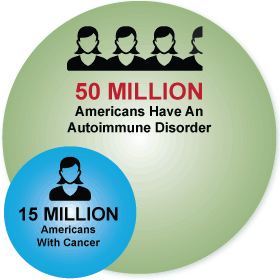 So just what is an Autoimmune Disorder? Psoriasis – skin rash, dry skin, depression, inflamed tendons, joint stiffness, dents in nails. Autoimmune diseases are born when your body is working hard to defend itself against something potentially dangerous, such as an allergen, a toxin, an infection, a food or other foreign substance. Normally the body can tell what is dangerous and what is not. But when an autoimmune disorder is present, the body cannot tell and starts to attack ALL the cells of the body, wreaking havoc on the organs. 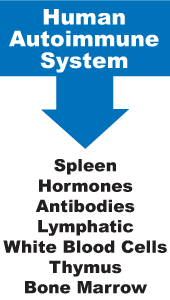 What Causes An Autoimmune Disorder? There are many underlying factors that contribute to the condition, and genes definitely play a role. Whether or not these genes get turned on is actually caused by a host of other factors, such as toxins from heavy metals or molds, infections like herpes, and from chronic inflammation tied to food sensitivities — particularly gluten intolerance. There is a significant link between autoimmune diseases and gluten intolerance. Evaluate Family History – This will help us determine your risk factors and genetic likelihood. Elimination Diet To Determine Food Sensitivities – Up to 80% of the immune system is in the gut. By identifying and eliminating the foods that are triggering flare ups, we can significantly reduce symptoms. Comprehensive Stool Sample – This will examine the gut bacteria and determine if infections are present. Examine Blood Levels – This will determine the presence of various antibodies and look for hidden or underlying infections. Identify External Contaminants – Toxins like Mercury, pollen or molds could be around you all the time. If needed, we can determine if these things exist. Other methods – Each person is unique, as is their environment and internal workings. 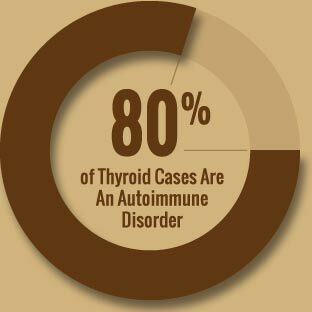 We have many other ways of checking for triggers that cause autoimmune flare ups. We know how overwhelming, confusing and scary a diagnosis of an autoimmune disease can be. We also know that conventional medicine is not going to make your condition any better. Functional Medicine is the best way to identify, address and recover from an autoimmune disease. If you have been to multiple doctors and specialists for your problems and still don’t have an answer, we can help. We are uniquely qualified to help with autoimmune conditions. Call us today and take control of your health. It’s one of the most important things you have.